*TODAY ONLY! 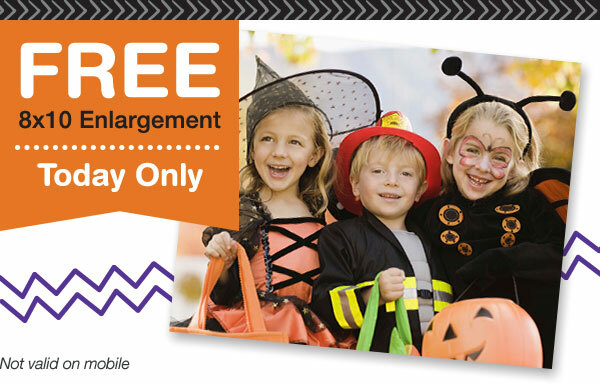 * Grab a FREE 8x10 Enlargement Photo from Walgreens! 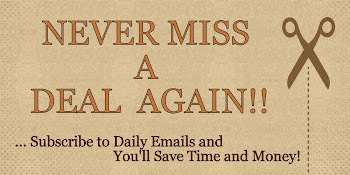 Just enter code: FREETODAY at online checkout. Plus, FREE Store Pickup! Offer expires October 31, 2015. *Coupon code FREETODAY valid for one use per Walgreens.com/photo account thru October 31, 2015. Only one coupon code per order. Limited to one free 8x10 single-image print per household. Code must be entered at time of checkout to apply discount. Photo cart must include your 8x10 print at time of checkout to qualify. Discount does not apply to collage prints, scrapbook pages, magazine covers, previous purchases, taxes or shipping charges. Order must be placed by logged-in customer by October 31, 2015 at 11:59 p.m. Central Time to qualify. Timing will be determined by Walgreens server clock. Offers cannot be combined on one product. Multiple coupons can be used in one cart if no overlapping products exist in the offers being applied. Offer not valid on orders placed in store or thru Walgreens Mobile App. Shipping and handling may apply if in store pickup is not available in your area. Void where prohibited. No cash value. Subject to change without notice.